Dr. Kelley N. Hensley was born and raised in Grove, Oklahoma. She graduated from Grove High School in 1996, and completed her pre-medicine studies at Missouri Southern State University in Joplin, Missouri. She completed her doctorate in Chiropractic from Parker College of Chiropractic in 2004. Dr. Hensley is trained in Diversified, Thompson, Activator, Flexion/Distraction and Upper Cervical techniques. She is a recognized member of the International Chiropractic Pediatrics Association (ICPA) and is certified in the Webster Technique, a specific chiropractic analysis and adjustment that has been proven highly effective in removing constraint to the uterus and allows the baby to assume the best possible position for a less traumatic birth. Dr. Hensley is licensed in both Oklahoma and Arkansas. Dr. Hensley has been practicing for 6 years (the last 3 in Northwest Arkansas) and is using the knowledge and experience she has gained to open her own practice. Specializing in treatment for the entire family, including children and expectant women. 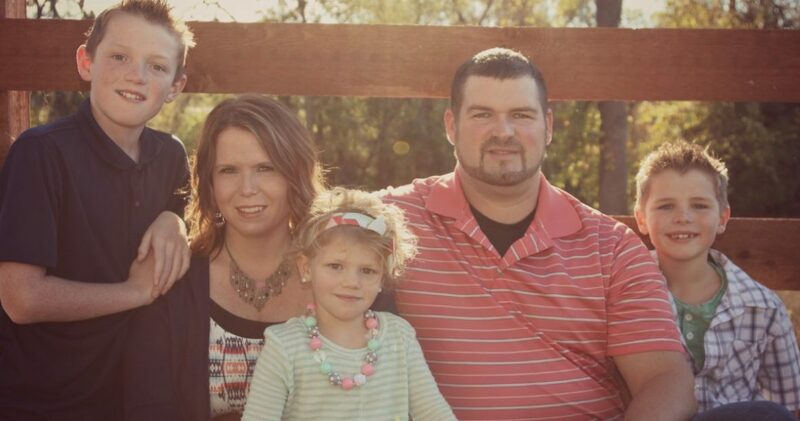 Dr. Hensley enjoys spending time with her husband, Ronnie, and her three children, Carter, Grayden and Ellasyn. Dr. Ron Lieberman was raised in Pennsylvania where he attended Lehigh College. He then attended Palmer College of Chiropractic and practiced as an associate in Dubuque, IA until 1980. He began his practice in Grinnell, IA, and remained there for 20 years, marrying Loré and raising a family. He and Loré followed their son to Northwest Arkansas in 1999 thereby avoiding the long, cold winters of Iowa. He joined Dr. Teri Hines’ practice in Lowell and then bought a Bentonville practice in 2005. His addition to Pinnacle Chiropractic and Family Wellness began in April, 2013. Dr. Ashley knows that optimum health requires the mind, physical body, and spirit to be in balance. It is her great passion to bring healing to people who have been searching for relief and peace of mind. She helps patients find health, relieve pain, and journey down a path of lifetime wellness. She loves caring for children, pregnant mothers, and the entire family. She knows that no single approach is the right one for every individual, and so she has been trained in a range of modalities including Thompson Technique, Soft Tissue Mobilization, Activator, Extremity Adjusting, Physiotherapy, and many more. Passionate about nature and health, the move to Northwest Arkansas was a natural fit for Dr. Ashley. She loves spending time with her husband and their 2 children. In her free time she enjoys fishing, biking, and all the wonders Northwest Arkansas has to offer. Gail was born in upstate New York. She and her family moved to Northwest Arkansas in 1999. She has always had a passion for massage. After the company she worked for closed their doors, she decided to turn her passion into her way of life. She graduated massage therapy school at Blue Cliff College in 2013on the President’s List, She received her License the same year and is a member of the National Technical Honor Society. She enjoys crafts and going to Crystal Bridges with her family. Carol Cave moved from Kansas to NW Arkansas with her husband and son in 2002. Her previous work experience consisted of restaurant ownership and management, radio sales, and office management. Upon moving to NW Arkansas, she began working in the chiropractic field and it became her passion. She loves to see patients improve with chiropractic care. Carol enjoys reading, gardening, playing card games, and spending time with her family. She and her family own a local paintball course that her son manages while she handles the bookkeeping. Wife of Dr. Ron Lieberman- Lore was born and raised in Wisconsin. She married Dr. Lieberman in 1984 and lived in Grinnell, Iowa, for 20 years where Dr. Lieberman practiced Chiropractic. Lore had one son, Chad, who is married and now has 2 children, Nadia- 8 and Gemma-3. They live here in Rogers, AR and that is what brought Dr. Lieberman and Lore to Northwest Arkansas back in 1998. Jennifer was born and raised in California. In 2000, she moved with her family to NW Arkansas. Jennifer attended the University of Central Arkansas in Conway before moving back home where she enrolled at Blue Cliff College for Medical Assisting. While completing her internship at Pinnacle Chiropractic, she realized this was it. She loved the interaction patients had with their doctors, “It felt more like a family than a doctors office”. She loves watching patients heal with chiropractic or massage therapy. In her free time, Jennifer enjoys reading and spending time with her husband, Robert and three children, Carter, Eli and Ryan.